This entry was posted in Version history on 20 December 2013 by frogsparks. If you’re a new user, you should always use a Google login on the web site and on your devices (as long as you have configured a Google account on the device, which you have done if you use the Play Store or Gmail): it’s easier, one less password to remember, and you should not encounter any problem. If you had already created a FrogSparks account, you should also migrate to using a Google account everywhere. In most cases, simply logging in to your Google account from MyTrails on a device that is also connected to your FrogSparks account should automatically merge your Google account to your FrogSparks account. There is one possibility for failure: if your Google account’s email address is not the same as the email address you used for your FrogSparks account and you connect to your Google account from a device not already connected to your FrogSparks account, or from the web site, then both account will remain separate and you will not be able to merge them. You should contact us so we can delete your Google account from our databases so you can then merge the account properly as described above. You may choose to use only a FrogSparks account everywhere (if you don’t have a Google account for example). Or once you have an account that works both as a Google account and a FrogSparks account, you can use the FrogSparks account where the Google login is not available (for example on Kindles). This entry was posted in Account, FAQ, Purchases on 18 December 2013 by frogsparks. Buy maps directly on our website at a discount! It’s no secret Google took their cue from Apple when they designed the pricing structure for app purchases (and in-app purchases): like them they keep 30% of any and all sales, with the developer getting the remaining 70%. This is fair for apps; after all they offer exposure, easy and integrated payment, and the greatest platform there is (hmm, does he mean Apple or Google is the greatest platform, or both?). And since 75% of paid apps on the Play Store are sold for less than $2.50, the fact that Google keeps close to a third of it doesn’t matter much. For in-app purchases, especially fairly expensive ones, it does matter a bit more! So I’m happy to report that you can now purchase maps at a discount when you get them directly on our site. We use Google Wallet for payment, and since that’s the same back-end Google uses for the Play Store, if you’ve ever bought an app or made an in-app purchase on Android, your account should be already set up. Coupled with the upcoming MyTrails integration with Google accounts, this should make buying maps a snap. And about 10% cheaper than IAPs. The prices listed on our topo maps pages remain the IAP prices, and you can click through for the direct price. At the moment, the prices indicated on our storefront are in Euros, but once you click the Purchase button, Wallet should translate that into Pounds pronto. We’ve also taken the opportunity to redesign the account page to make it less ugly. Please let us know if we missed or broke something! This entry was posted in Blog and tagged maps, premium on 11 December 2013 by frogsparks. Using Ordnance Survey maps? MyTrails needs you! If you have a current subscription, you can use it until it runs out, but you won’t be able to renew it. On new installs of MyTrails, OS maps are not defined by default, so if you reinstall MyTrails and you do have a subscription, you can add the map by going into MyTrails > Preferences > Map Manager and tap Add, then select the OS map you have a subscription for. You also need to be logged in to your FrogSparks account for the subscription to be recognized. Read on for information about why this came about. Ordnance Survey recently updated their pricing, and they are finally offering degressive pricing for offline maps (and at a much more reasonable price) for their 25k maps. This is great news, as it makes it possible to keep all of UK 25k mapping offline for about 120£ per year (not that you need to, since with MyTrails you can exchange parts of offline maps you no longer need in exchange for other bits). More realistically, it sharply reduces the price of the most popular offline subscription (4000km²) from £38 to £16.80. In order to minimize the price as much as possible, I have split 50k maps apart, because the price of the 50k map is no longer negligible next to that of the 25k map. You can subscribe to both to create a hybrid offline in MyTrails. If you’ve purchased a subscription since October 1st based on the old pricing and would like to take advantage of the new one, please send me the Wallet transaction number so I can cancel your order and you can purchase one of the new subscriptions. Please note that Offline OS25k maps require MyTrails 1.4.0b3 or later. Previously, Ordnance Survey required that perpetually-licensed maps be downloadable only once (which I felt to be incompatible with MyTrails’ design philosophy), but now they offer a new lifetime license (in some locations, MyTrails also refers to it as a perpetual license), which does allow unlimited re-downloads, so MyTrails supports that. It costs a bit over twice the yearly license, but you can use it as long as you like. It’s not quite like owning the map (because you can only use it with MyTrails – again, this is an Ordnance Survey requirement, not mine), but it’s as close as it gets this side of the digital divide. In October, OS finally prevailed upon another Android app that was offering OS maps without a license (for free) to stop doing so. Since this application has way more users than MyTrails, this resulted in an uptick in the number of OS licenses I sold. There is still another well-known app out there giving access to free OS maps… and that app is not free. If you look for it, you’ll find it :-). More seriously, by all accounts these free OS maps are old (they’re still the same maps MyTrails used to offer in 2011, before Ordnance Survey asked me to stop and I switched to licensed maps) and they’re badly compressed and blurry. But people still use them because licensed maps are expensive, and I totally sympathize with that. There’s no easy way to say this, so here it is: Ordnance Survey requires a minimum yearly license revenue, and I’m not meeting it. Especially since they lowered their prices (which is great, did I mention that?). By early January 2014 I will have to stop selling OS maps, unless I can substantially increase my sales. So please talk to your hiker friend, your mtb buddy, the crazy climber dude who keeps threatening to rope you in. Tell them about MyTrails, about how irreplaceable OS maps are, and how you can do more with them when you use MyTrails. And get them to treat themselves to a map subscription for Christmas. If I have to cancel my Ordnance Survey license, your maps will not stop working. Online and offline map subscriptions will continue to work for the duration you paid for. You will still be able to exchange parts of your offline maps for new areas. But you will no longer be able to purchase additional OS map coverage to use with MyTrails, and I will no longer be able to update the maps to the latest OS data. 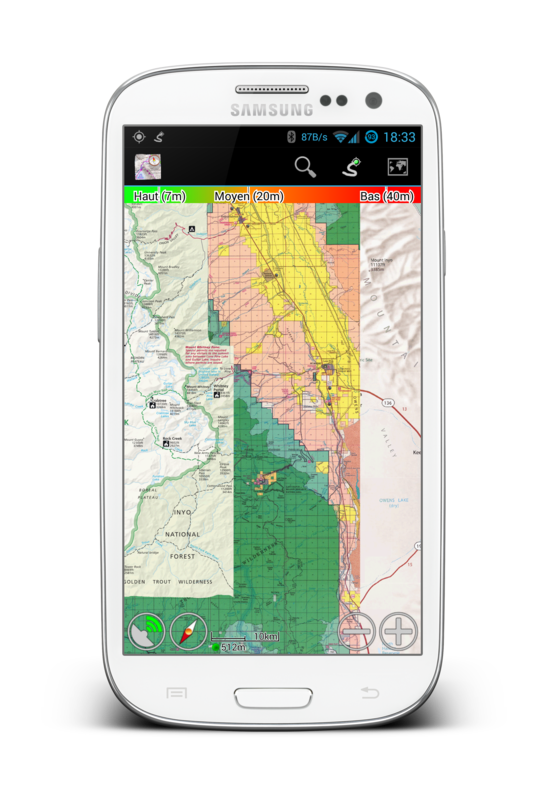 I can promise you that despite the fact that OS is more interested (legitimately) in the companies that have been selling tiny maps areas for £100 (and still are selling at over twice the price I am, after the price reductions), I will continue to work tirelessly to make MyTrails a great app for you. And if I should have to cancel my OS contract, any OS map purchased between December 1st 2013 and January 15th 2014 will be reimbursed in full upon request. So please head to our new storefront and help us keep our Ordnance Survey reseller license!